1. Disconnect the battery ground cable. For additional information, refer to <<414-01>>. 2. 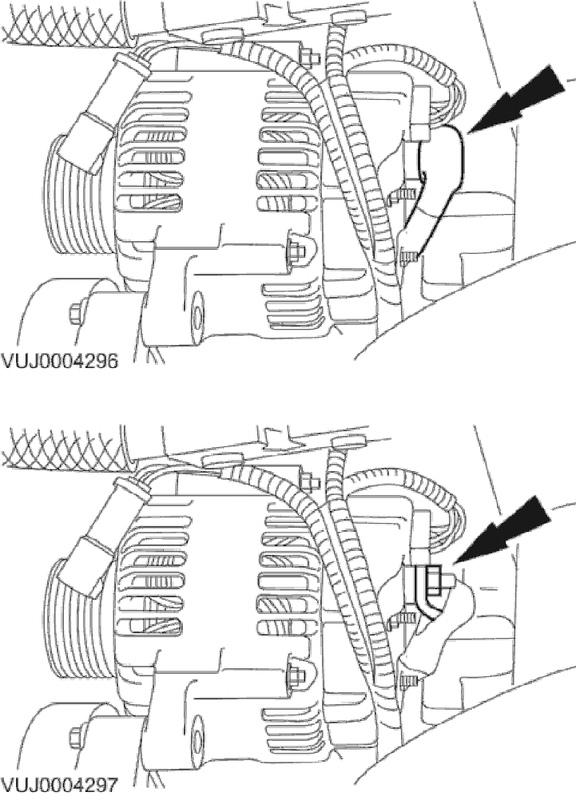 Remove air conditioning compressor. For additional information, refer to <<412-03>>. 3. Detach the generator battery positive cable protective cover. 4. Disconnect the generator battery positive cable electrical connector.